At present time safety of Gmail account is the top most priority of most of the working users. All the important documents are exchanged through Gmail at present. Most of the users prefer Gmail to chat secretly. What if your Gmail has been compromised or hacked; you will lose all your data and conversation. Can you imagine losing access to your account and you know everything was in it? no you can’t, you will not be able to gain access again if it is compromised. they are not thinking that it can be hacked or stole easily. Clicking on links in email messages. To make you relief better Google is having 2 step verification for Gmail, so that your account has negligible chances to be compromised. Follow the steps below and stay secure. 2. Sign in with your Gmail Account. 3. 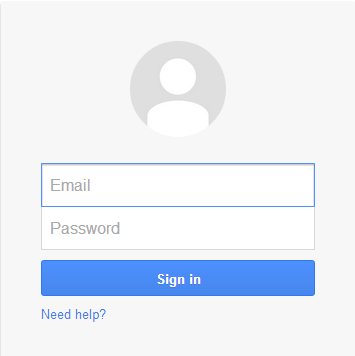 A window will open saying Signing in with 2-step verification, at the right side of the webpage you will see Start setup Button, click on it to setup 2-step verification for Gmail. 4. Now you will have to enter the mobile number on which you want the verification code to receive. You have two verification method either Text message or Voice call; choose according to your comfort and then click on Send Code. 5. You will get the verification code on your number just enter it in the given field Enter Verification Code click on Verify. 6. 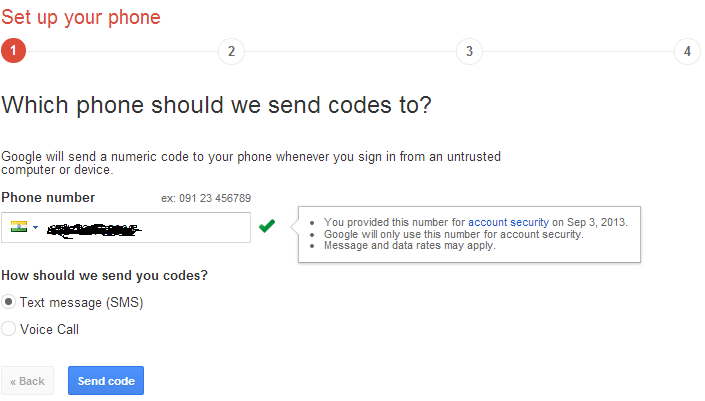 Google gives you a option Trust this computer, if you check this option then you don’t have any need to go through 2-step verification on your computer, it will ask for verification code other than your system. Just click on Next and then on Confirm button to complete your verification process. And your 2-step verification will be enabled, next time whenever you will Log In you will have to provide first your Log In details and then Google will send a verification code on your registered mobile number and when you will enter this code; then only you will be able to Logged In. 1. Visit the 2-Step Verification Page Here. 2. At the right side of the web page there is a option 2-Step Verification is : ON simply click on Turn off to disable 2-step verification, a pop window will open asking you to confirm the disabling of 2-step verification; just click on Turn off and confirm it.